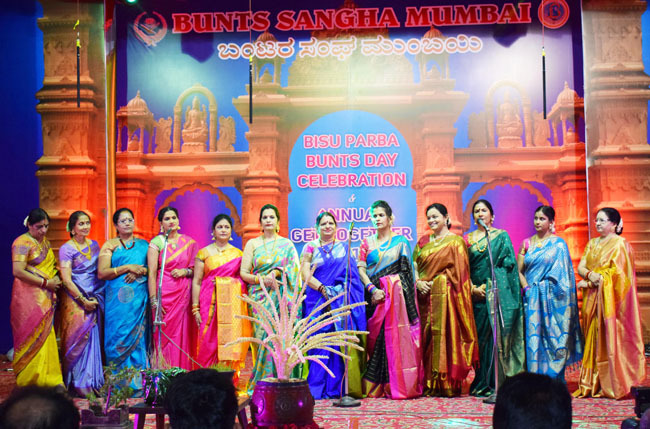 Mumbai, 16 Apr 2018: Bantara Sangha Mumbai® organized harvest festival - Bisu Parba, Bunts Day – 2018, annual get-together at Bunts Bhavan, Kurla, here, on Saturday, April 14. 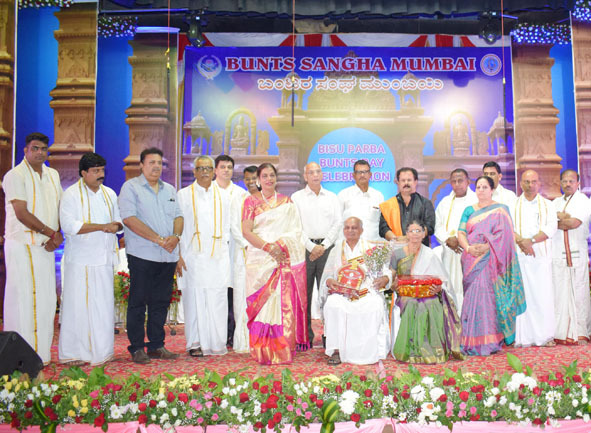 The traditional harvest festival was inaugurated in the presence of World Bunts Federation president Aikala Harish Shetty, Thane Bunts Association president Kushal C Bhandary and Bantara Sangha Mumbai® president Padmanabha S Payyade. 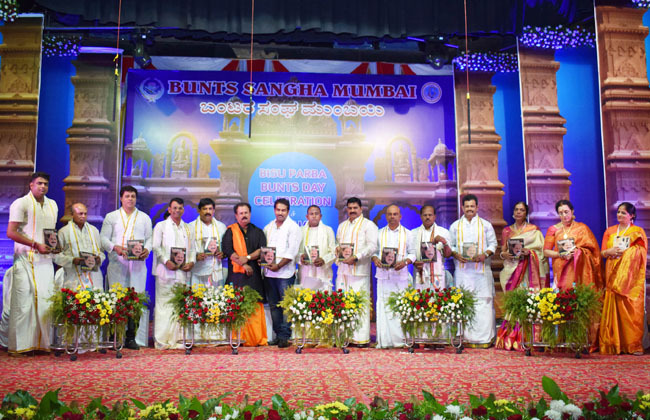 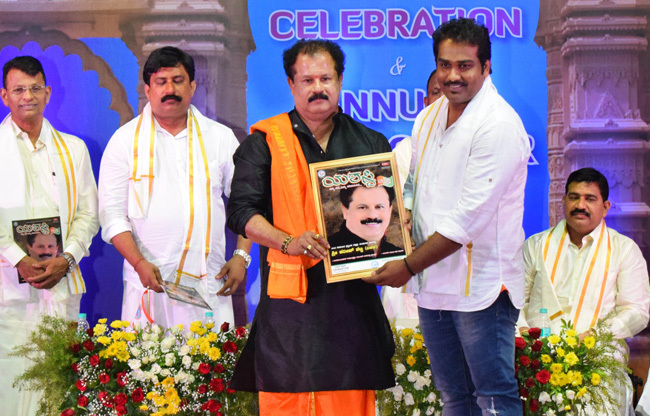 Padmanabha released the special edition of Successful personality Aikala Harish Shetty that was published by Chittari Publication – Mumbai owned by Jayaram N Shetty. 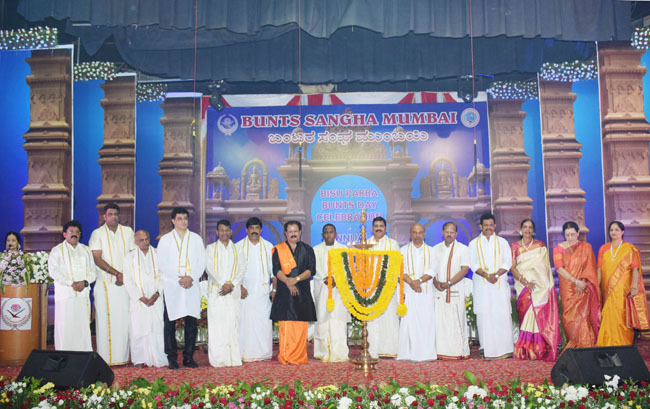 Bantara Sangha Mumbai® vice president Chandrahas K Shetty, honorary treasurer Praveen B Shetty, joint secretary Mahesh S Shetty, joint treasurer Gunapal Aikala, women wing president Ranjani Sudhakar Hegde, youth wing president Sharat V Shetty were present at the dais. 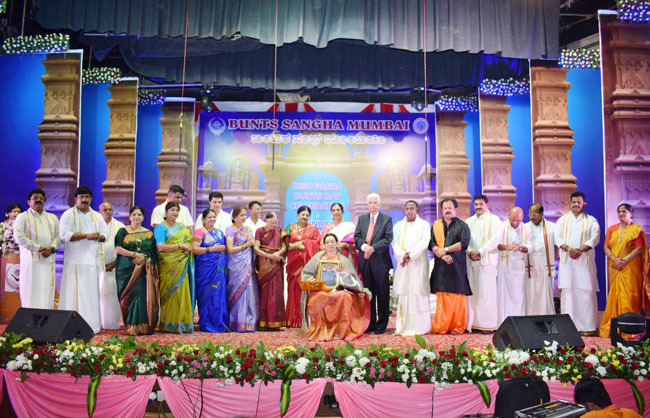 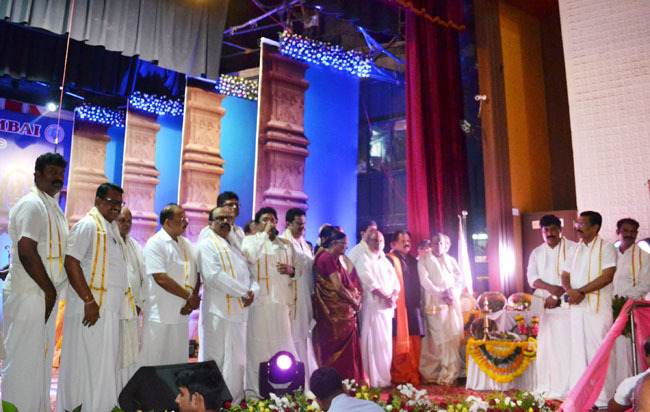 The distinguished personalities were conferred with awards. 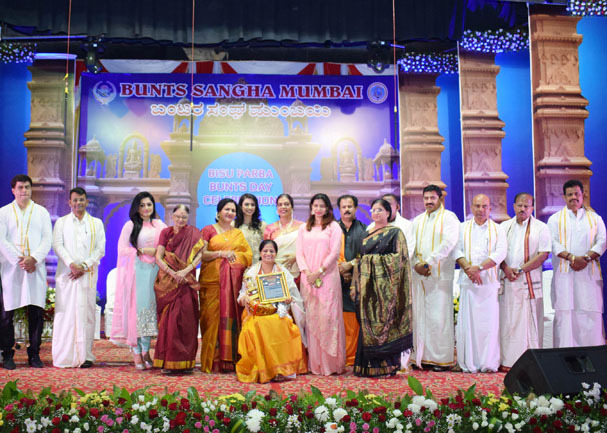 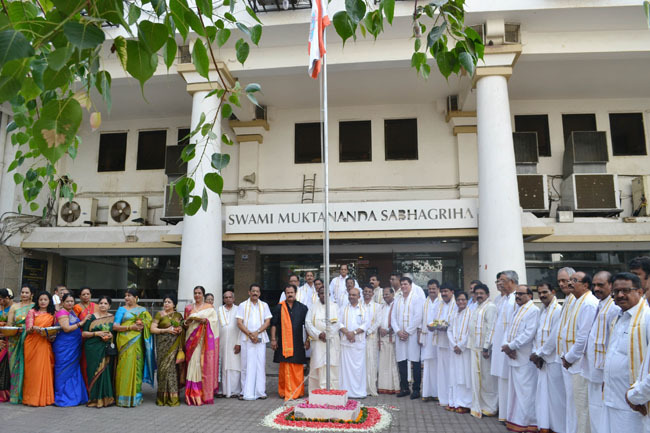 Jaya A Shetty, Vittal S Alva, chartered accountant Sadashiv Shetty, Ullurguttu Mohandas Shetty, Ratnakar Shetty Mundkoor, Gunapal Shetty Aikala, Nalyaguttu Prakash T Shetty, Dr Sunita M Shetty, Adyar Divakar Shetty, Suresh Shetty Shibaroor, Divakar Shetty Kurla, Naveen Shetty Kurla, Naveen Shetty Inna and others were also present. 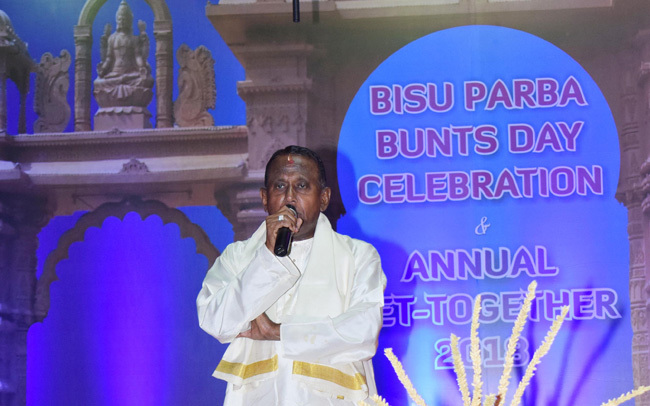 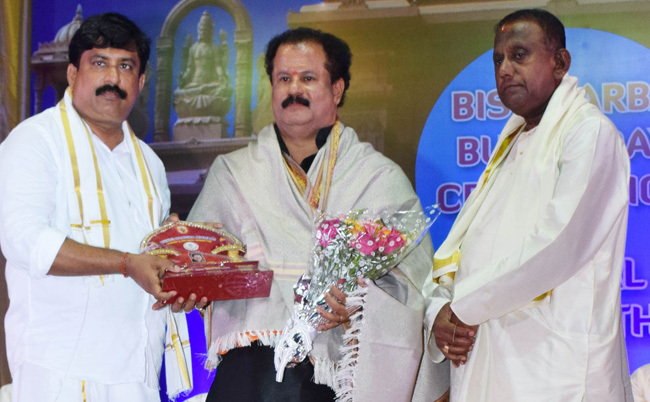 Ashok Pakkala, chief editor of Bantaravani – bulletin compered the programme. 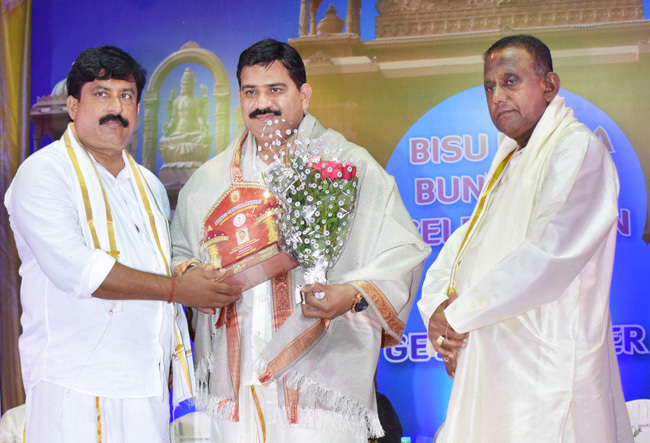 The honorary general secretary Sanjeev Shetty proposed vote of thanks. 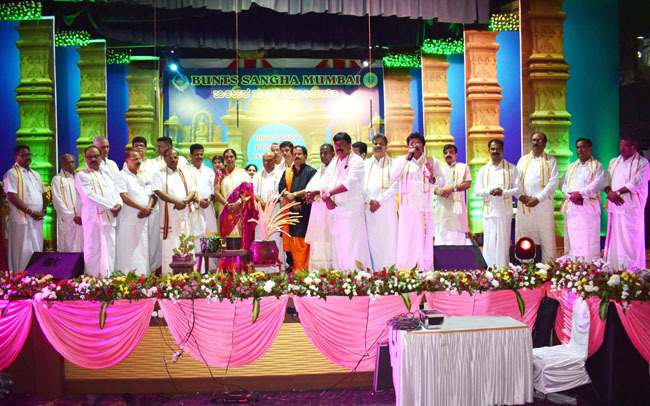 The variety cultural shows were held to depict the harvest festival – Bisu Parba of erstwhile Tulunadu. 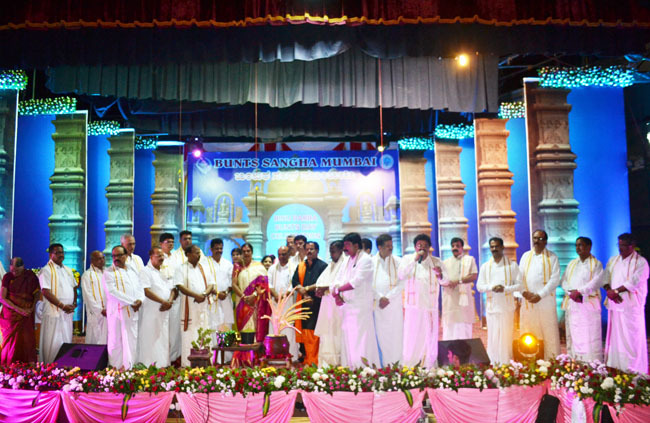 Beere Devu Poonje, Yakshagana play was staged by artistes of Mahavishnu Krupa Banta Yakshagana Kala Vedike as part of celebrations.